The Housecall looks at a program called Room 217 that helps caregivers integrate the healing power of music into their practice. Music can be a powerful tool, unleashing emotions and even easing pain. Room 217 harnesses that power, helping caregivers integrate music into their practice. The Room 217 Foundation helps health care personnel, volunteers, teachers and family caregivers integrate music into their practice. These care providers gather for music care training. The program helps health care personnel, volunteers, teachers and family caregivers integrate music into their practice. 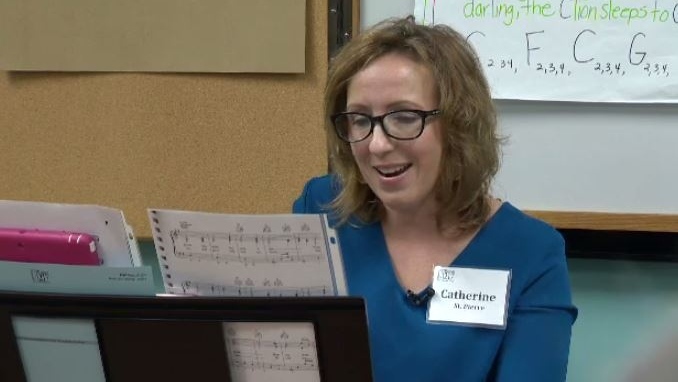 Catherine St. Pierre says the goal of level one training is to teach participants how to use music with intention, and be comfortable and confident with their new skills. Music care isn’t music therapy, it’s simply meant as a tool to enhance the care participants already provide. Karla Delaney will be using her newfound skillset in her work as a recreation programmer at a long term care facility. St. Pierre says they have seen great benefits from music care in hospitals or long-term care settings, increasing patient satisfaction, elevating mood, and decreasing social isolation.